This mighty, motivating comprehensive email-marketing and funnel-building course will show you step-by-step exactly how to attract droves of engaged, invested fans, convert them into repeat buyers, and increase your income like whoa! Don’t you wish there was a fluff-free, fast solution for growing and nurturing your list without a Bentley budget? Well, I’ve got good news for you. Now, there is. This mega course will elevate your email marketing skills and activate your subscribers so they become eager buyers using my proven strategies and systems. And that’s why I named it LISTIVATE! I’ve combined the most powerful list-building and funnel -creation techniqueswith a clear plan of action that shows the secrets to nurturing your list the right way so your leads convert into sales (because what’s the point of having a list if you aren’t making money from it?). LISTIVATE gives you a fool-proof SYSTEM to build a loyal, engaged following that actually buys from you (again and again)! Bonus files on persuasive words, Formulas for Headlines, spam trigger words to avoid. Affordable and DIY solutions so you don’t have to spend a bunch while you are still growing. Ready-to-use templates, scripts, and email swipe files, EVERYTHING you need. Information on how to plan your pillar blog content, and annual email calendar. 8 weeks of guided, step-by-step list building and funnel creation lessons. Instant access to the first 3 modules and the rest of the lessons dripped out each week. Detailed guides on email marketing metrics, open rates, & analytics. Multiple workbooks on your ideal client, your brand & voice, & planning your lead magnets. SO YOU DON’T HAVE TO START FROM SCRATCH. When it comes to your list, engagement matters! The number one most important thing that you can do is to grow & nurture your list. The most profitable online entrepreneurs understand that list-building isn’t something that happens once and is done. It’s a consistent and integral part of their marketing efforts. In fact, they are maniacal and relentless about list building. If your email list is too small or filled with the wrong people, you constantly struggle to get new clients, book your services, and fill your programs. And if your list is not continuously growing and nurtured, it gets cold and people will stop buying from you. In contrast, when your list has engaged, perfect people on it, and you are sending them emails that convert them into buyers – you make way more money. This is true whether you are a coach, consultant, copywriter, designer, VA, course creator, or any other type of online entrepreneur or service provider. Heck, over the last 20 years, I’ve also worked with commercial plumbers, analytics consultants, manufacturers, hospitals, attorneys, accountants, non-profit organizations, and more. The same principles of list building applies to all types of companies. LISTIVATE can quickly enable you to hit your first (or your next) 1,000 subscribers on your list. Well, 1000 subscribers is a magical, unicorn number when it comes to list building. This is where you can really make your income grow, and it’s a real confidence booster. Let’s do some List Math. If you created a small online course and charged just $197 (which is a very reasonable price), and sold only 3 of those each week, you’d make more than $2,500 each month. If you added a larger course for $497 and sold just 3 of these each week (in addition to your smaller course for $197), you could build your revenue to more than $100,000 a year. If you primarily sell one-on-one services that averages about $500-$1,000/month per client, you can make about $750 per 100 people on your list. This means with a list of 1,000 people, you can build your annual revenue to around $90,000. Now, what if you combined a service and a couple of courses? Totally doable and the resulting income is phenomenal! And this is with just 1,000 people on your list. Imagine what you can do when you apply these same list-building, nurturing, and monetization strategies to get to 2,500 or 5,000 on your list!? Yup, you are well on your way to a profitable, multiple 6-figure business. Let me know, does any of this sound familiar to you? You’ve put off building your list or feel stuck because you don’t know what to prioritize or which activities will bring you the best results. You’re frustrated because you know you need to have a larger list to make money as an online entrepreneur, but your efforts to grow it feel PAINFULLY slow. You’re ambitious, but there is so much conflicting advice that you just want to know the right steps to see REAL RESULTS from your list-building efforts? You’ve built your list to an ok size, but you don’t know what to say to them on a regular basis. People aren’t opening, engaging, or buying. You are ready to change that and make some real money. Did you raise your hand to any (or all) of the above? Good! You’re in exactly the right place to change all that. 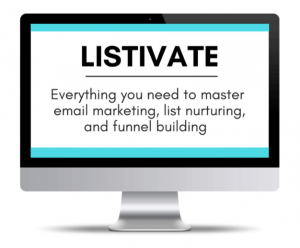 I created LISTIVATE to share the EXACT principles and strategies I used to exponentially grow my list in a matter of months so that I could finally have the profitable, engaged community of ideal customers I’ve always wanted. And I’m spelling it all out in this mega course. Wendy is a top notch marketing consultant. She was quick to identify solutions to my marketing inquiries, and she made the experience pain-free! She was easy to talk to, and she asked all the right questions to understand exactly what it was I needed. I highly recommend her for all of your marketing and strategy-related needs! Bravo, Wendy, and thank you! Wendy was just what I needed for my business. She is an expert at what she does, is a delight to work with and is sincerely concerned for her client's interests. 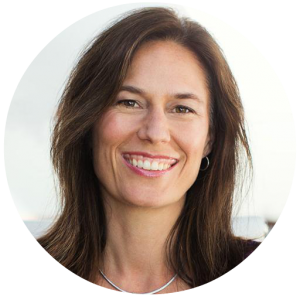 I recommend Wendy for any business owner who wants tested strategies that work. Listen, I’ve been where you are and I know how frustrating it can be. Now my list grows by hundreds every month. When I started, I definitely was NOT a list-building superstar with thousands and thousands on my list. In fact, last year I had to start all over from scratch because I sold one business and started a new one. But, just a few months after putting efforts into my list’s growth, I had my first $10,000 month. Then, I had another and another. That’s the power of email marketing. And, you can do it too. You just have to have a proven formula. That’s where LISTIVATE comes in. This is the exact system I used to skyrocket my list and get to $10k months. And I’ll teach it to you in a way where you won’t feel like a sleazy saleperson. I break it all down from the basics to the technical, and give you simple, repeatable systems you can use again and again with this business, your next business, or even your clients’ business. This soup-to-nuts email marketing course shows entrepreneurs and business owners like you how to grow, nurture, and turn your email list into a cash-generating machine! You see a dramatic increase in the traffic to your site. You are constantly drawing in new people who are excited about what you have to say and can’t wait to get on your email list and buy from you. They spread the word about your business! You can get quick cash in the door whenever you want, because you have a growing list of subscribers and ideal clients who are hungry to buy from you, again and again. You wake up to payment notifications (yup, you really can earn money while you sleep)! You are fully booking out your programs, services, and courses with amazing clients because you know exactly what the people on your list want from you. And if you sell products, then you are making sales each and every day! You enjoy consistent five-figure (and even six-figure) months from your list with waiting lists of people signing up to work with you or buy your programs. You are getting asked by influencers to be on their podcasts, speak at their events, and join them in joint ventures because they know you have a robust list of loyal fans. You can do ALL of this and MORE when you learn how to build your list and leverage email marketing right! You are joining a unique community of smart and ambitious entrepreneurs and business owners. Plus, you get a Resource Vaults in each module that provides juicy bonuses that support you in building a sustainable email marketing system for your own business. Tech trainings inside of the course! We’ve included tech trainings on exactly how to do set up forms and opt-in boxes and sequences and way more! Because honestly … what’s more frustrating than wasting time on figuring out annoying tech?! Extra trainings on metrics, open rates, “break-up” emails, and more. You’ll not only learn how to build and nurture your list, but we’ll show you how to know if you are succeeding, how to keep your list squeaky clean so you don’t end up in spam folders, and how get rid of the “dead weight” on your list so you keep your open rates high! It’s like an ultra-secret, email-marketers’ club! Get questions answered, feedback on your stuff, and the support you need by connecting with Wendy and the other students in the group! Make the process of creating your funnels and email marketing sequences fast and effective by using these comprehensive resources! Simply plug in your info. Use these over and over, for each new funnel you create. Save even MORE time and know exactly what you should be including in your webinar related e-mails by using these e-mail templates as a blueprint for your own! Comprehensive workbooks will help you identify the right audience for you, get clarity on your brand and voice, map your goals and funnels, create irresistible headlines and persuasive copy, and so much more! So … what happens when you buy the course? Step 3: The rest of the course will be dripped out by module regularly. You get full access to the entire course (including additional updates, added content and bonuses) for life! The private Facebook group is just for students of LISTIVATE to get the support, feedback, and accountability that you need in order to make big things happen!